There are always times when you need to be sure of a safe fall arresting harness when you are working high above the ground. Safety harness design and construction has come along way and it makes sense to go for the best system on the market. Small 34" - 37"Standard 38" - 44"Large 45" - 54"
Intelligently designed, rigorously tested, lightweight and easy to use, these advanced systems by Abtech represent the industry standard fall arrest and height safety equipment in the UK or worldwide today. The Abtech AB 10 single-point harness is designed also for general work areas where there is high risk of falling. 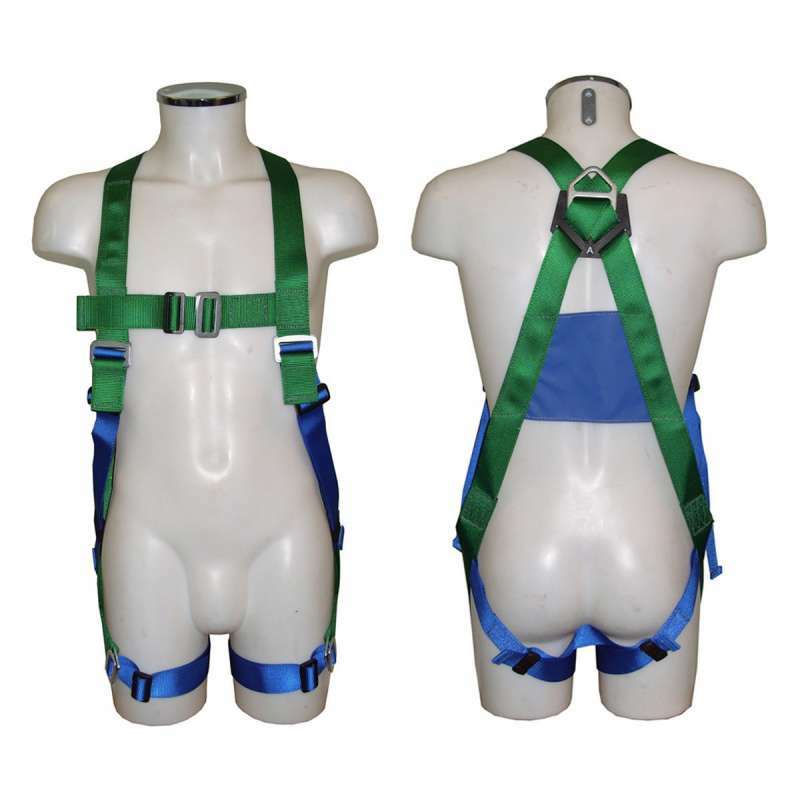 This is a single point harness which features a dorsal (rear D) attachment point. Conforming with modern standards such as BS EN 361, you can reasonably expect a shelf life of at least five years providing the unit is stored correctly and regularly inspected or five years after first use. This unit weighs in at 950g and the manufacturers recommend a maximum user weight of 150 kg. The recommended user chest sizes are, for the AB 10(SML) 34 - 37 inches, the AB 10 (STD) standard is 38 inches to 44 inches. Finally, the AB 10 (XL) large is 45 inches to 54 inches.